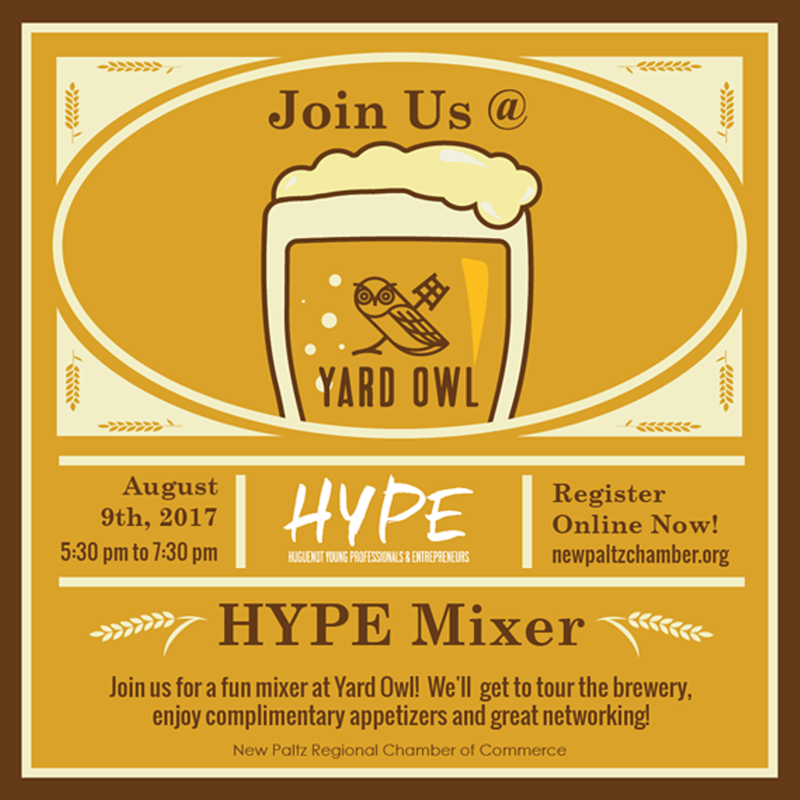 Join Hype for a fun mixer at Yard Owl. 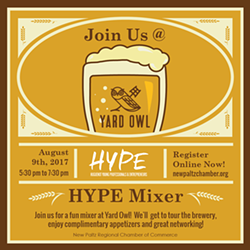 We will get to tour the brewery, enjoy complimentary appetizers and great networking. Other food and beer will be available to purchase. We will also be accepting school supplies to donate to the Family of New Paltz at this mixer. Bring pencils, pens, notebooks, folders, etc. and we will make sure that they are given to those in need.